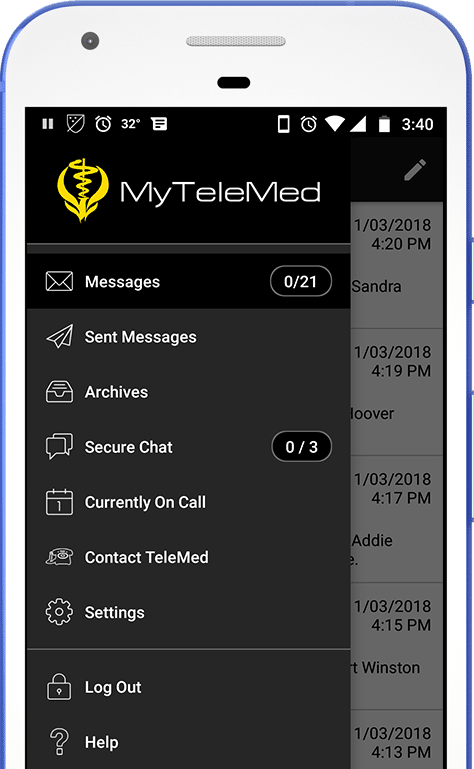 Major updates to iOS and Android versions of the MyTeleMed app have been released to app stores and are ready for download! Our suite of services combines highly qualified live operators with state-of-the-art proprietary technology to deliver quality unsurpassed in our industry. After Hours, Business Day, Live Operator, Web Services and Mobile Apps. Only TeleMed does it all. 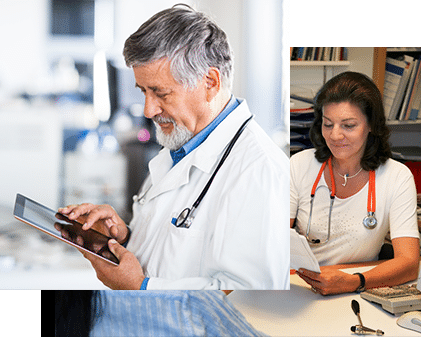 Find out why TeleMed is the number one service for doctors, physicians, surgeons, dentists and the number one solution for healthcare, hospice, government, academic, faculty practices and hospitals. 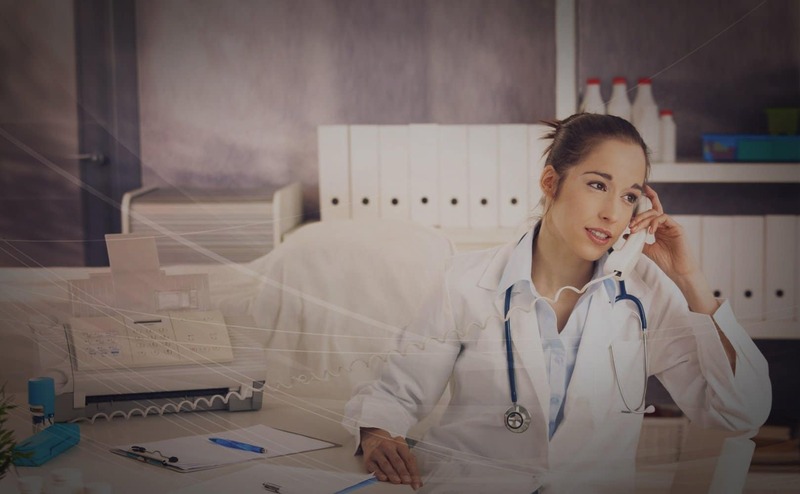 TeleMed’s medical answering service provides 24/7 coverage to over 45,000 healthcare providers nationwide and includes virtual office answering and medical appointment scheduling. 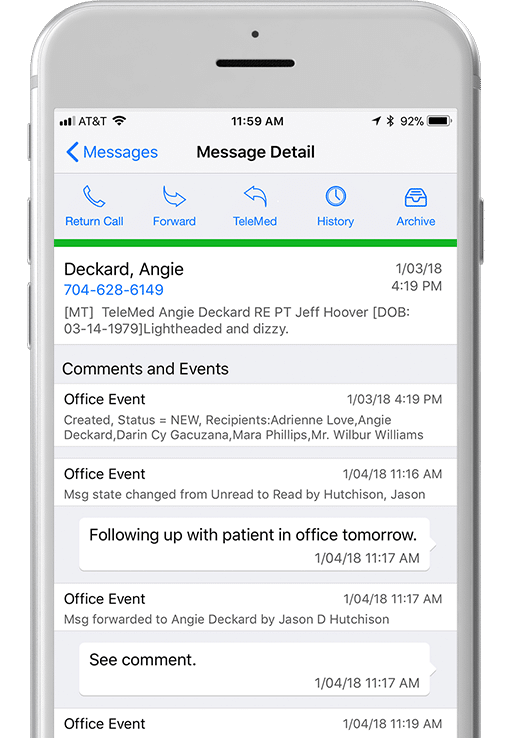 The MyTeleMed Mobile apps and Administrative Portal are our free HIPAA-Compliant messaging service that receives complete messages and push notifications from TeleMed or directly from your office. 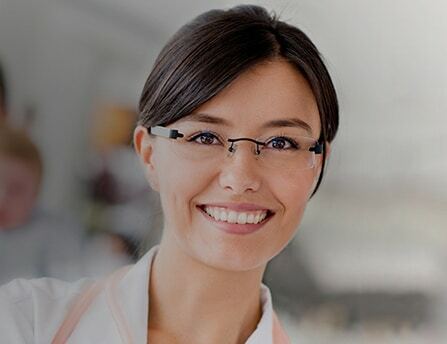 MyTeleMed is our secure, HIPAA-Compliant web portal product that will integrate all of your medical answering service information into one easily navigable homepage. 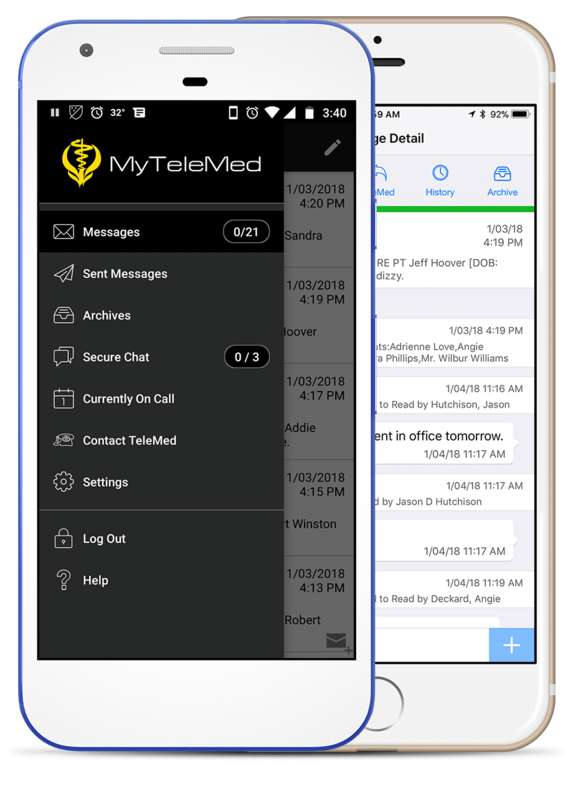 The MyTeleMed OnCall App is our free HIPAA-compliant messaging app. The app receives complete messages from TeleMed or directly from your office. Providers can manage patient and medical office communications with their iPhone or Android. Messages reside on our secure web-based server with username and password protection and encryption. 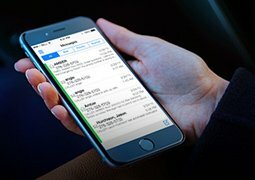 Your providers easily receive and return their messages via the app. Enhance patient service and boost productivity. Lighten your administrative workload so you can better focus on patients. Friendly, competent associates ensure that your patients reach a live person 24 hours per day, 7 days per week, 365 days per year. Our team manages your calendar: setting, modifying, confirming and canceling appointments. We can integrate with your web-based calendaring systems. Urgent calls are directly transferred to you or a specified contact. Messages can be relayed through our administrative team to your customers or associates. You determine which calls are urgent and which are routine. Friendly, helpful administrative associates answer every call. Each Telemed associate working on your account has completed HIPAA training, so you can rest assured that your patient’s privacy is being handled with care. 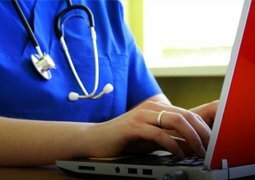 Telemed physician answering service lightens your administrative workload so you have more time to spend with patients and practice medicine. Superior answering services at competitive rates for hospitals and other health organizations. 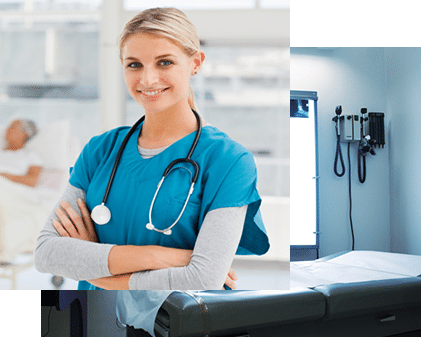 We provide overflow, after hours, and primary telephone services for hostpitals and health organizations, any time of the day or night. Urgent calls are directly transferred to you and your on-call team. You choose the protocols that specify which calls are urgent and which are routine. We promptly answer incoming calls and then page doctors according to your directions. We can also relay messages 24/7/365. On-call contacts and paging instructions can be modified as often as you’d like. Friendly, bilingual, helpful administrative associates answer every call. Each Telemed associate working on your account has completed HIPAA training. 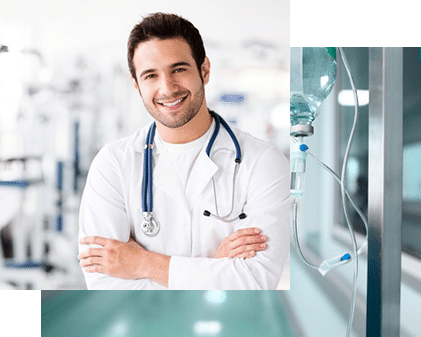 Telemed’s answering services for hospitals lighten your administrative workload so you have more time to spend with patients and practice medicine. 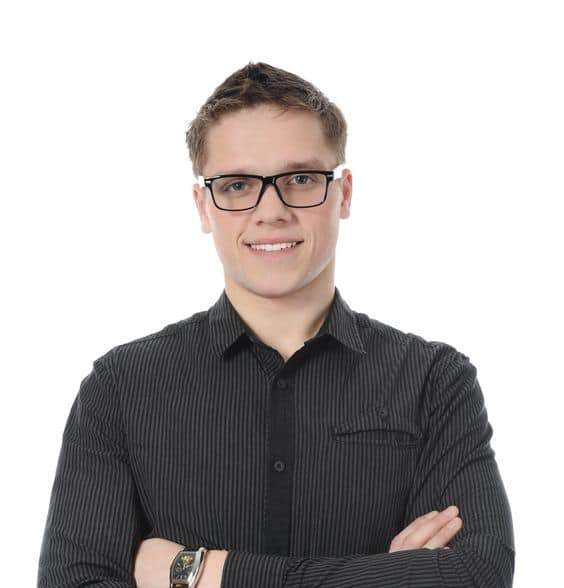 An experienced team to field calls daily from dental professionals, orthodontists, and dental offices. Specifically prepared to handle dental calls from appointment cancellations relayed to the office, to dental emergencies requiring immediate escalation and paging. Enhance dental patient service and boost productivity. Lighten your administrative workload so you can better focus on dental patients. Friendly, competent associates ensure that your dental patients reach a live person 24 hours per day, 7 days per week, 365 days per year. 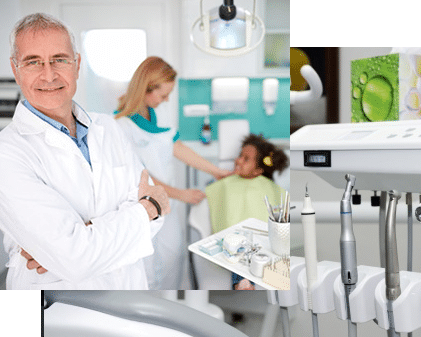 Telemed dental office answering services lighten your administrative workload so you have more time to spend with patients and practice dentistry. Enhance patient service and boost productivity. Lighten your administrative workload so you can better focus on patients. Friendly, competent associates ensure that your patients reach a live person 24 hours per day, 7 days per week, 365 days per year. Telemed physician answering services lightens your administrative workload so you have more time to spend with patients and practice medicine. Is TeleMed local to my region? 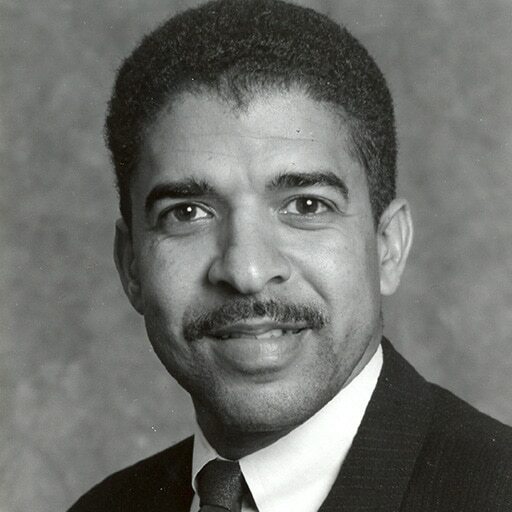 TeleMed was originally founded in 1986 in Atlanta, GA and we maintain an answering center there still today. However, we provide nationwide call answering and have operator answering centers in Johnson City, Tennessee and Wise, Virginia. These three interconnected centers provide backup for one another that enables us to ensure quality telecommunications solutions for doctors across the country no matter what unforeseen disaster may occur. 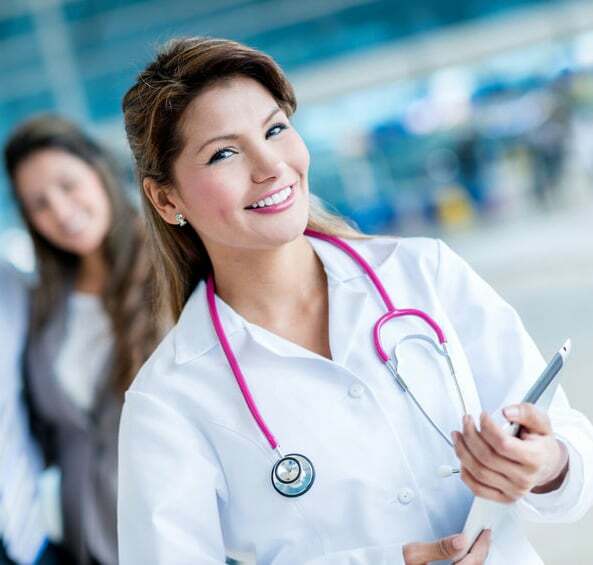 We are now a national company servicing doctors in every region of the United States and the three operator centers are the foundation that allows us to handle the incredible diversity of our customer base. How big is your call center? With the three call centers, TeleMed generally has 100+ operators answering the phones at all times, meaning that we will be able to answer your calls promptly and professionally. All of our operators are well-trained on the use of our system and will allow it to guide the information, based upon your instructions, to the proper location. You will not have to worry about any calls slipping through the cracks again. How quickly can you manage our changes/issues/concerns? Can you answer for us during the day as well? Yes, TeleMed has customers for whom we only answer during business hours. If you’re an after-hours customer we can still answer for you during the day whether it’s during your lunch hour, for overflow calls, during a meeting, or all day long. Just like after-hours service answering, our operators will simply follow the instructions that you personally have established for your account to guide the office message to the appropriate location. Can you set appointments if we want? Yes, TeleMed can set appointments for you in your own existing EMR system. Our IT department will be able to set up a connection that allows our answering system to interface with your existing EMR system so that we can schedule the appointments in your system in the exact same format that you have been viewing them in the past. Your appointments will be set for you and you won’t even know that it is actually our operators scheduling the appointments for you instead of your staff. Does TeleMed pick up on the first ring? With over 100+ operators on site at all times, your call will be answered on the first ring the majority of the day. There are occasional circumstances in which the call volume that TeleMed is receiving spikes up and the operators will not be able to answer every call on the first ring. However, our color coded system allows us to see exactly what type of call is coming in and for how long the call has been holding. If a call reaches a certain number of rings a box will change to black on our operator’s screen indicating that the call needs to be answered immediately. TeleMed’s newly renovated Atlanta call center contains a hub of bilingual call operators (English and Spanish speaking) who are dedicated to answering calls that come in on our Spanish lines first. When you set up the voice recording that callers will hear when they reach your line with TeleMed you will just put in a prompt that says something like, “Para español, oprima numero 2”, and when they hit the two button the system will direct them to a line in our system that is dedicated specifically to Spanish speaking callers. TeleMed bills on a 28 day cycle. You can either set it up so that the amount of money that represents your bill for a particular pay cycle is deducted automatically from your account (credit/debit card) or you can mail in a check every month for the amount due. You will be getting notifications online of your bill as well as a paper copy from TeleMed every billing cycle. If you register for one of our services in the middle of the cycle and only use a percentage of the units/minutes included in your answering plan during that first billing cycle, TeleMed will only make you pay for the percentage of units/minutes you use and not the full bill per cycle. TeleMed does require a contract for our services. However, we are lenient with those businesses who are tentative in the beginning, often times allowing for month-by-month plans for the first couple of months to make sure that the customer is happy with and understands the service. Typically though, TeleMed requires either a 1 or 2 year contract for both new and existing customers. The contract is very easy to understand and is simply there as a means of documenting, for us and you as the customer, the exact specifications of what is required on each of our parts. The contract will guarantee that both parties know exactly what the other wants. Once your designated Sales Member has received the signed paperwork and payment authorization form from you, it will typically take up to 10 days for overnight services and up to 30 days for appointment setting. Upon setup you will go “live” and we will begin to handle your medical communications management for you. 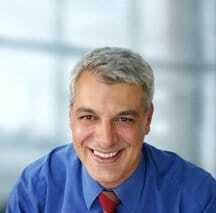 “We have been very satisfied with TeleMed over the past 10 years. Not only do we always get the message but they have reduced our IT and software cost. Help your organization minimize wasted time and labor, and maximize customer care and revenue. 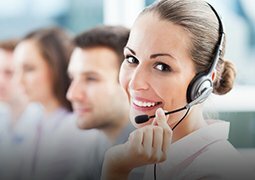 Whether you are a small to medium physicians group, a large hospital, a busy dental office, or a community health center, Telemed has the tools, experience and expertise to deploy and integrate a medical answering service and medical call center solution that fits your needs and exceeds expectations. Years in the medical answering service has made us the number one choice for secure healthcare messaging. Hours a day / 7 days a week. Nationwide day and/or nighttime answering service. 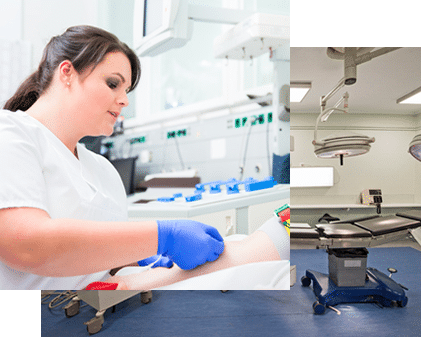 Healthcare providers nationwide rely on our highly qualified live operators to deliver quality unsurpassed in our industry. Please fill out the form below for customer support or sales inquiries.